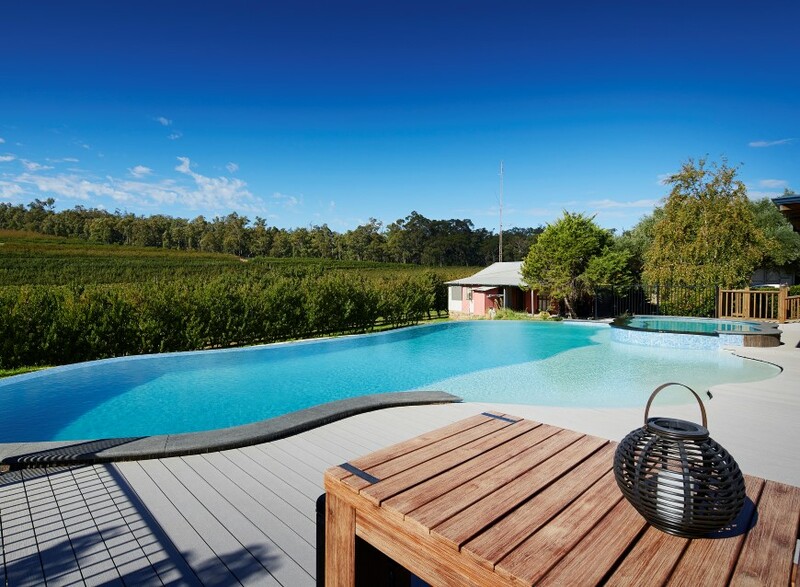 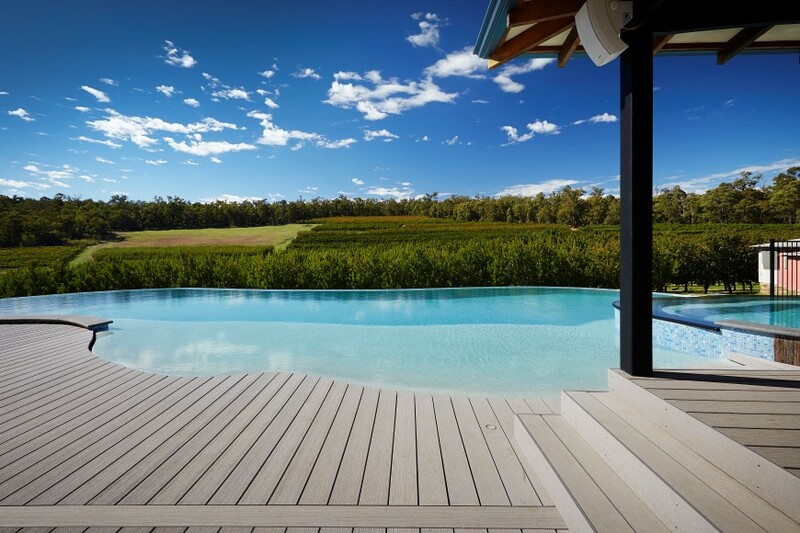 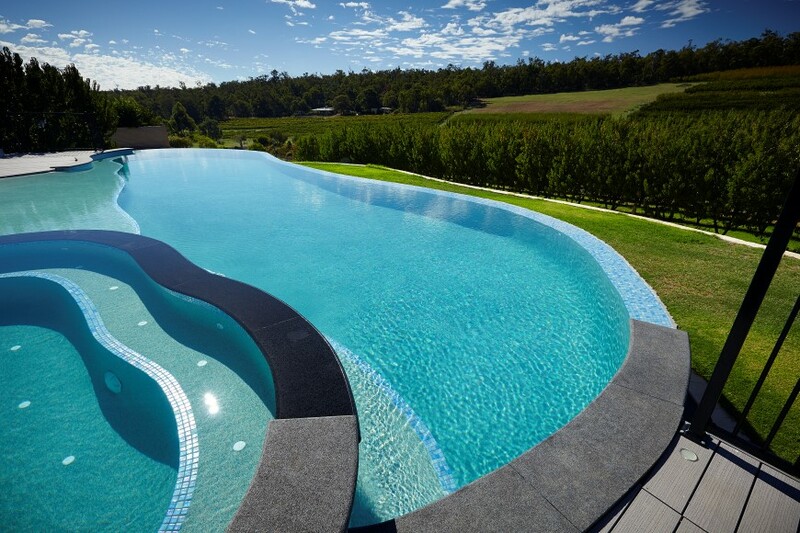 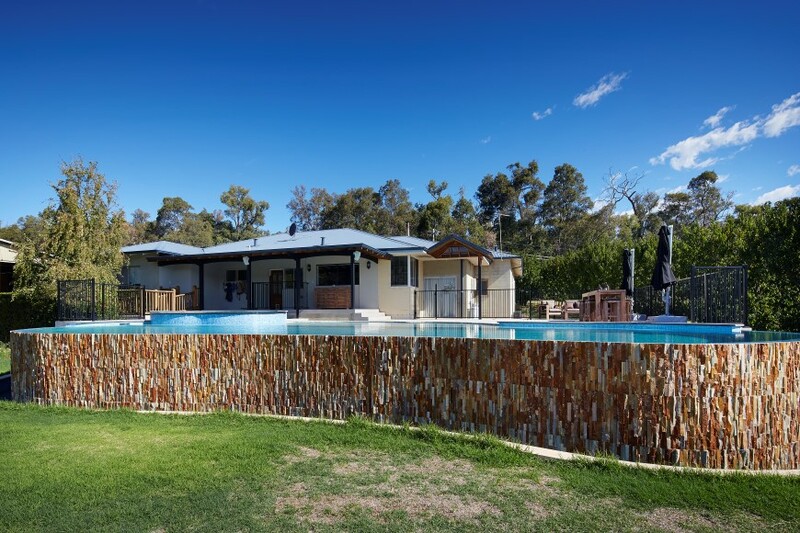 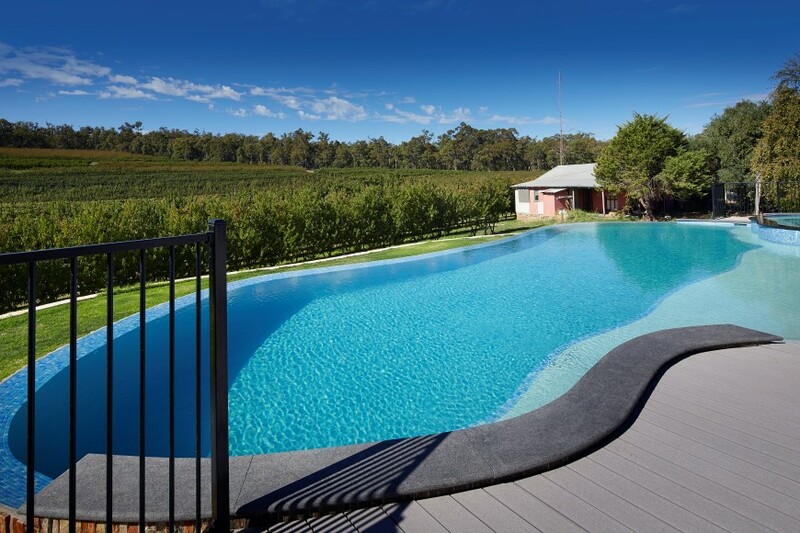 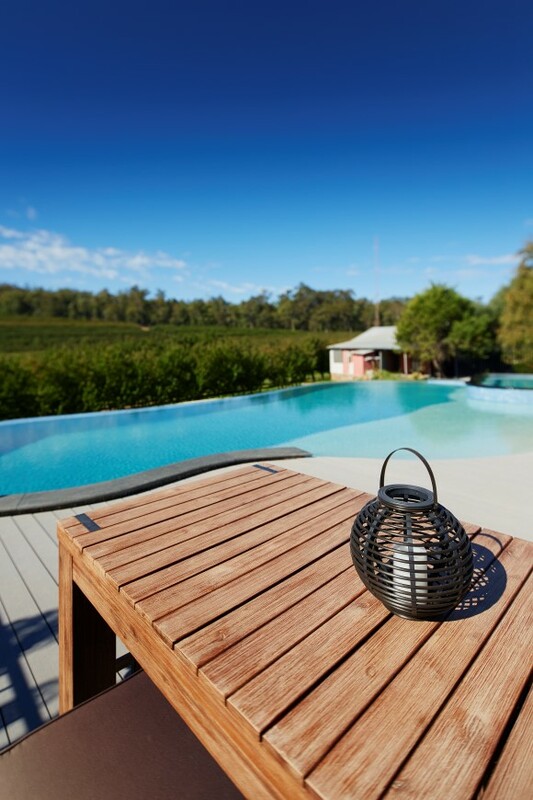 This amazing free-form pool built for the Burchill family has a full length vanishing edge overlooking the orchards, a free-form heated spa that overflows into the pool and a large beach entry that included a wet deck. 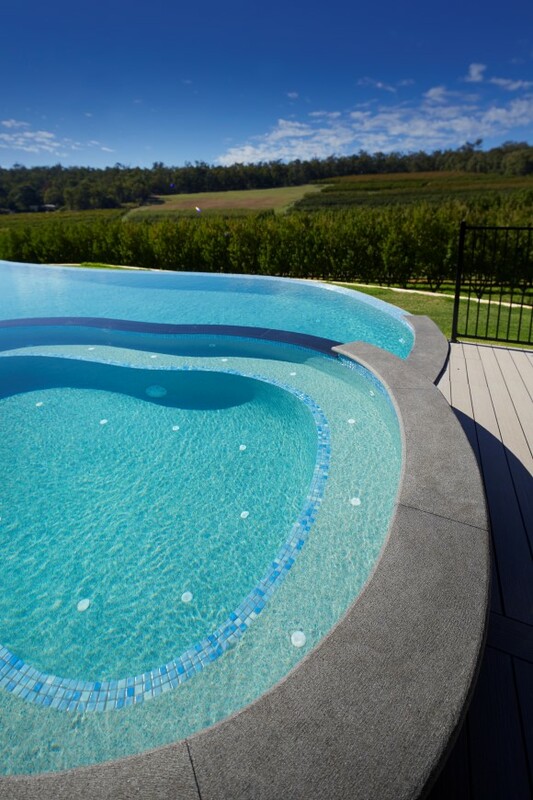 The finished pool combines all the features the client requested, creating a beautiful scenic holiday pool on their doorstep. 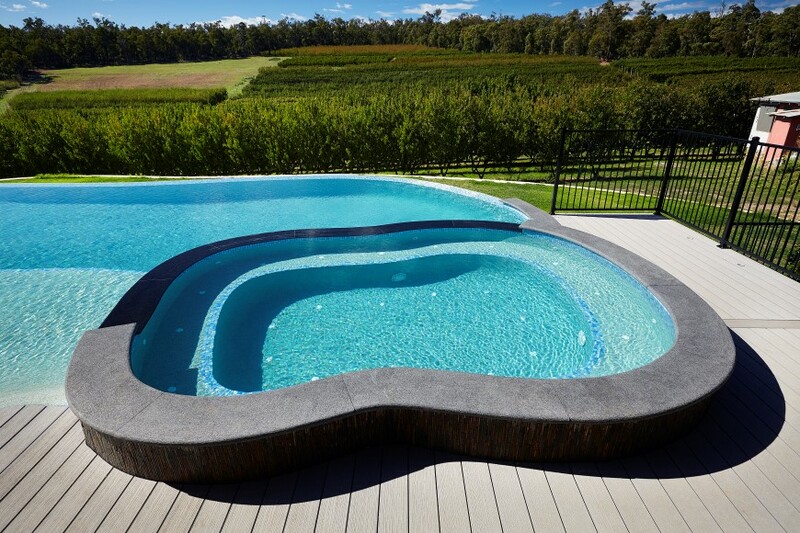 The owner of this lovely apple orchid was looking to add a large free-form pool that would not only overlook their orchid but would also suit the landscape that was there already. 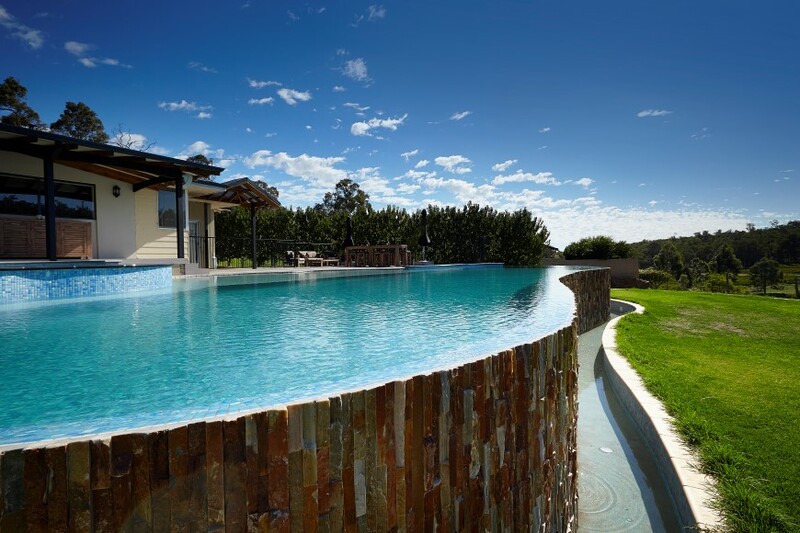 The pool is built 1.5m above the existing ground level so that it would match up to the level of the existing house, with this in mind a vanishing edge pool worked beautifully. 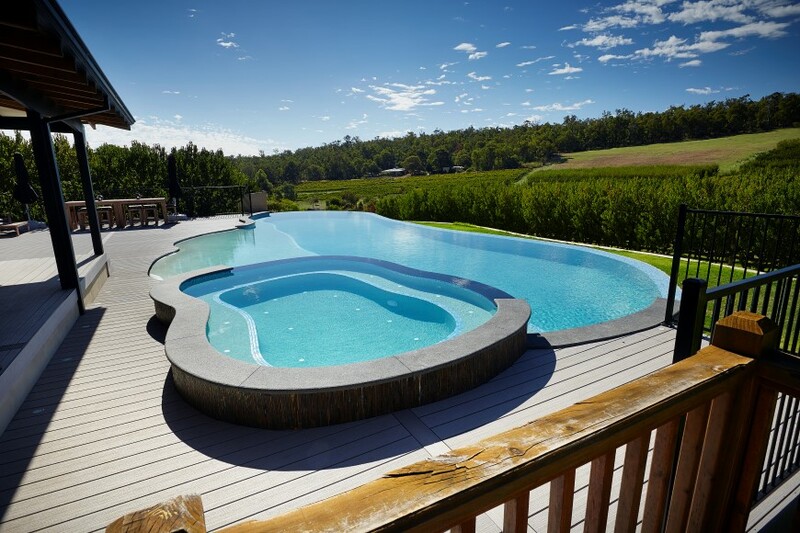 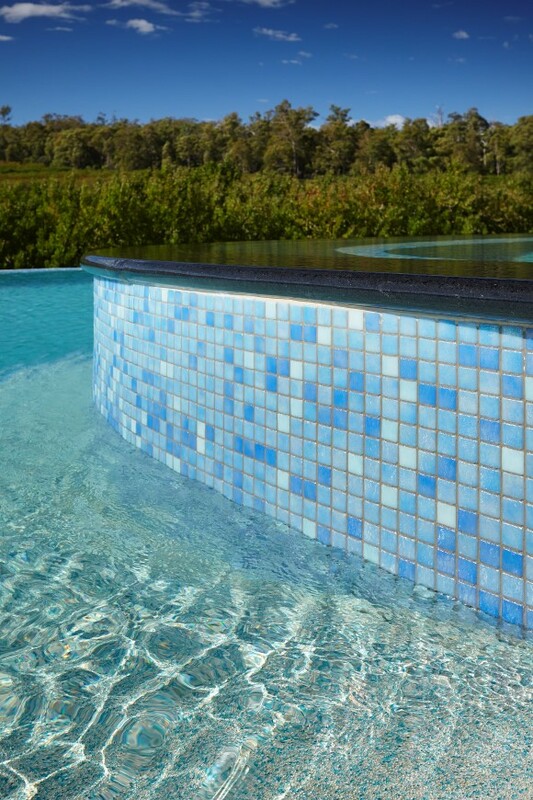 The client’s wanted a beach/wadding area into the pool and they also required a very large spa that would have a spillway which connected it to the main swimming area so that it was separate but still if someone was enjoying a spa they would still be included with everyone on the pool. 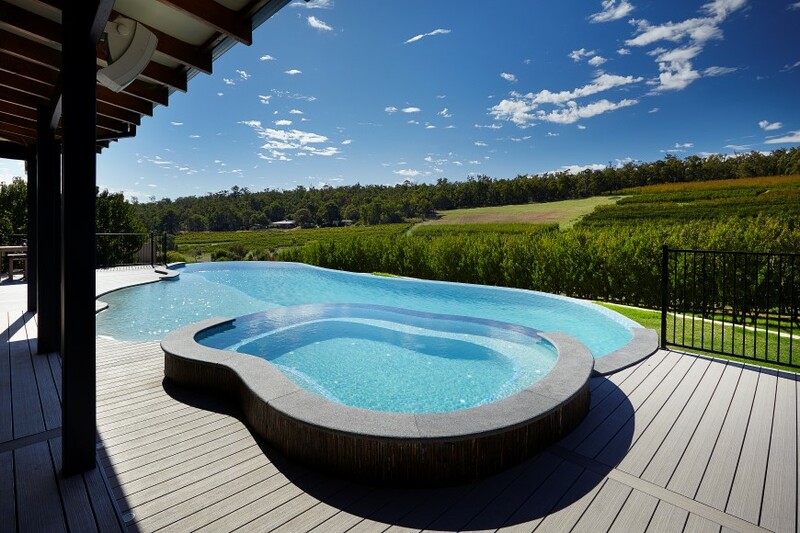 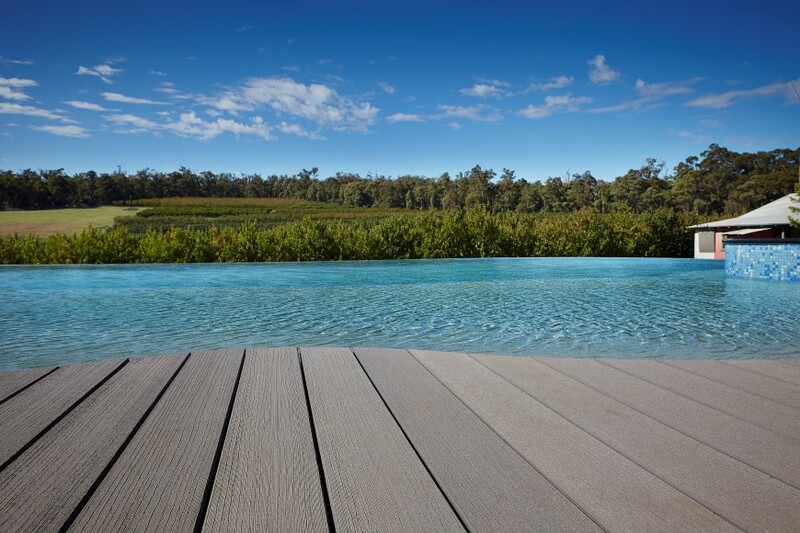 A wet deck was also incorporated into the design, giving that flowing seamless effect when looking out over the pool from the main house. 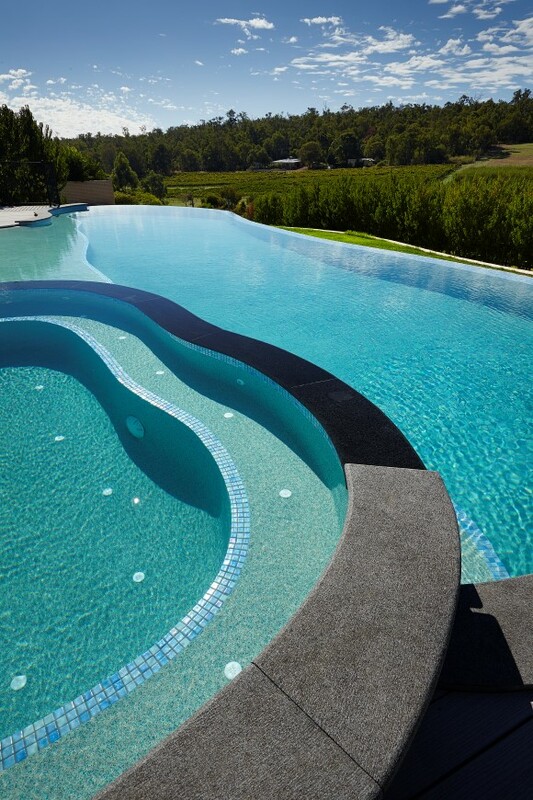 Headers/Coping- Granite and Stone Gallery ‘Charcoal Double Bullnose’- some of the pieces have been made to order with a template cutout.